The Big Mac Index is a tool devised by economists in the 1980s to examine whether the currenciesMonetary AssetsMonetary assets are assets that carry a fixed value in terms of currency units (e.g., Dollars, Euros, Yen). They are stated as a fixed value in dollar terms even when macroeconomic factors such as inflation decrease the purchasing power of the currency. of various countries are at equal levels of basic affordability. The Big Mac Index is based on the theory of Purchasing Power ParityPurchasing Power ParityThe concept of Purchasing Power Parity (PPP) is required to make multilateral comparisons between the national incomes and living standards of (PPP). The Big Mac Index was introduced by Pam Woodall in The Economist in September 1956 as an illustration of Purchasing Power, which is now published by the paper annually. The traditional method of measuring PPP or exchange rateForex Trading - How to Trade the Forex MarketForex trading allows users to capitalize on appreciation and depreciation of different currencies. Forex trading involves buying and selling currency pairs based on each currency's relative value to the other currency that makes up the pair. between two countries is that the exchange rate should adjust in such a manner that sample basket of goods and services should cost the same in both countries. In the Big Mac Index, the basket of goods only contains a Big Mac Burger as sold by McDonald’s all over the world (with some minor alterations). McDonald’s was chosen as it is present in almost all countries. To obtain the Big Mac PPP exchange rate between two countries, the price of a Big Mac calculated in the country’s currency is divided by the price of Big Mac in another country. The value obtained will be the exchange rate. This value is then compared with the actual exchange rate. If the value obtained is more than the exchange rate then the first currency is overvalued and conversely, if the value is lower than exchange rate then the first currency is undervalued compared to the second. The index also introduces a new word called Burgeronomics. iPod index: just like Big Mac Index, in 2007, an Australian bank introduced the iPod Index as the iPod is manufactured at a single place; the value of an iPod becomes more consistent. But the theory ignores shipping cost and distribution costs, which may vary from one country to another depending upon the distance of the country from the place of manufacture. Gold Mac Index: In this method, the purchasing power parity is calculated on the basis as of how many burgers can be purchased against 1 gram of gold in a particular country. Purchasing Power Parity is an economic theory that draws a comparison between different currencies through a market “basket of goods” approach. In accordance with this theory, currencies are in equilibrium or at par when the exchange rate is same in both the countries. Every three years, a report is constructed and released by the World Bank that compares various currencies with the US dollar. The International Monetary Fund (IMF) and Organization for Economic Cooperation and Development (OECD) use this report as a credential in predicting and recommending economic policy. Basket of Goods refers to a fixed set of consumer products and services bought by a consumer and are valued on an annual basis. It is used to track inflation in a country. However, goods are adjusted as per changes in the consumer’s buying habits. If a basket of goods costs $100 in the US and £200 in the United Kingdom, then the purchasing power parity exchange rate is 1.2. In many countries, dining at McDonald’s is relatively expensive when compared to dining at a local restaurant. Hence, the demand for a burger is relatively less. Hence, it doesn’t stand as globally acceptable. The total price of a Big Mac burger will be dependent upon the local production, delivery cost, advertising costs, transportation costs and the status of the local market, which will be different among countries and not be a reflection of overall relative currency values. The high volume and low margin approach determines the profit range in many markets and in some, high margin approach maximizes the profit. Hence, the value determined will not reflect the fair currency status. The prices of Big Mac also vary with the areas in which it is sold. 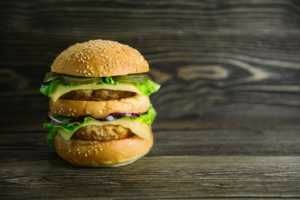 Therefore, a Big Mac sold in a major city might be more expensive than one sold in a somewhat rural area.